In many cases, business owners haven’t given the mats they use a whole lot of thought. 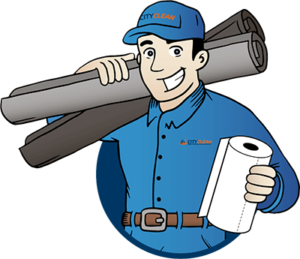 But there comes a time when the grime, dirt and dust tracked into a facility becomes a bit too noticeable and finding a better mat solution becomes more of a priority. Commercial floor mats can offer businesses the right type of floor coverage while also supporting the health and safety of employees and customers. Choosing the best floor mats for your Toronto area business really can make a difference! When it comes to choosing commercial mats that protect entryways and keep facility floors clean, traditional mats are a smart choice. Traditional walk off floor mats scrape away dust, dirt and debris from the bottom of shoes. Whether you have a facility that has just one or multiple high traffic areas, these mats for business will work to create a cleaner and safer environment. Reduce the amount of bacteria and debris carried into your building from shoes by up to 60%. Trap the dirt and moisture from entering your building and reduce the potential for slip and fall accidents. Protect your floors by reducing dirt build up and floor damage. Save you money on cleaning costs and demonstrate to customers that you value your facility and take pride in your business. Ensure your business is properly prepared to welcome visitors no matter what the weather. When mats are in place, customers can confidently wipe the rain, mud and snow off their shoes and then enter your facility with ease. Which Type Of Traditional Floor Mat Should You Choose? Adding any commercial floor mat to your business will produce positive results, but you should still take the time to make sure that you choose the best mat for your industry or business type. 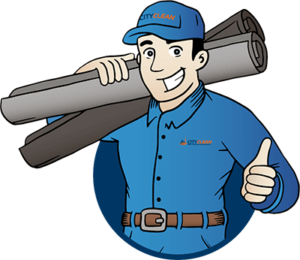 The experts at City Clean can provide you with information about the different types of traditional mats offered and help determine the right one for you. Commercial mats can be added to any business and the benefits they offer make them a smart and worthwhile investment. 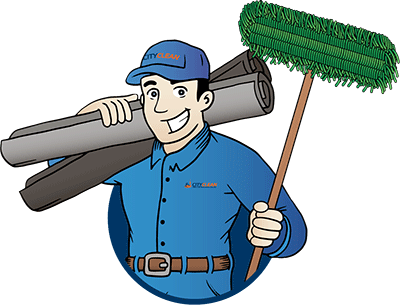 For more information about finding the right commercial floor mats, contact City Clean for a free trial. No matter what type of workplace you’re in, City Clean will work with you to create solutions for a safer, cleaner work environment. ‹ Why Use Brush Mats?